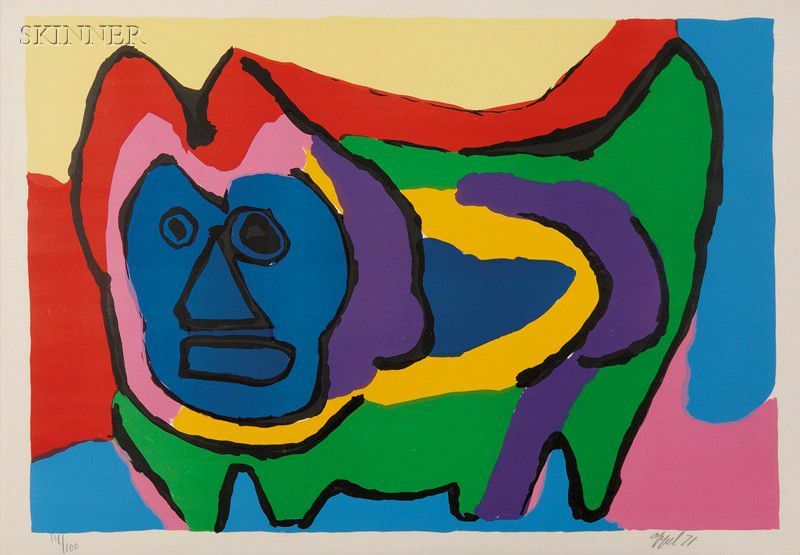 Untitled (Cat), 1971, edition of 100. Signed and dated "Appel 71" in pencil l.r., numbered "14/100" in pencil l.l. 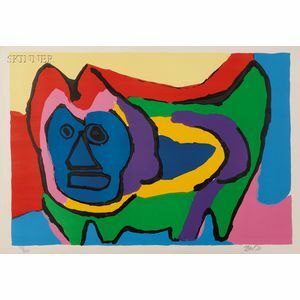 Color lithograph on paper, image size 22 3/4 x 33 in. (57.7 x 83.7 cm), framed. Condition: Deckled right and lower edges, not examined out of frame. Although it has not been removed from its frame, there are no visible condition issues to report.